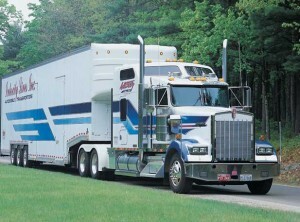 Moving Interstate is now much easier and affordable as Interstate Removals offers you Backloading Rates! 1) Choose the right Real Estate agent. Do not automatically choose the agent who offers to put your house on the market for the highest price. It is wise to invite 3 or 4 agents to your house at different times to provide a valuation. You can then get a feel for the agency and decide who you trust the most to deal with the sale of your house. It is also a good idea to do your research and find out which estate agent has sold lots of properties in your area recently. When you decide to Move Interstate Perth, you have to decide on whether you are going to carry out the move yourself or move with an Interstate Removal firm to do it for you. In the case of the former, make sure you have plenty of friends on board to help you and have an adequately sized van to transport larger items of furniture. In the latter case, obtain quotes from Backloading Removal companies and make you sure book them as soon as you know your moving date. As well as letting friends and family know your new address do not forget to inform utility companies, your bank, the Department of Transport etc. You should contact the Australia Post to have your post redirected. This can be done for a small fee and will help to ensure that you do not miss any important communications. Moving house can be a stressful business but it does not have to be. Use the checklist above to help you on your way to a stress free move!